The G20 Young Entrepreneurs' Alliance Summit in Istanbul, Turkey brought together over 600 inspiring young entrepreneurs, thought leaders and leading entrepreneur-focused organizations from around the globe. Entrepreneurship is one of the key solutions to tackle high youth unemployment. 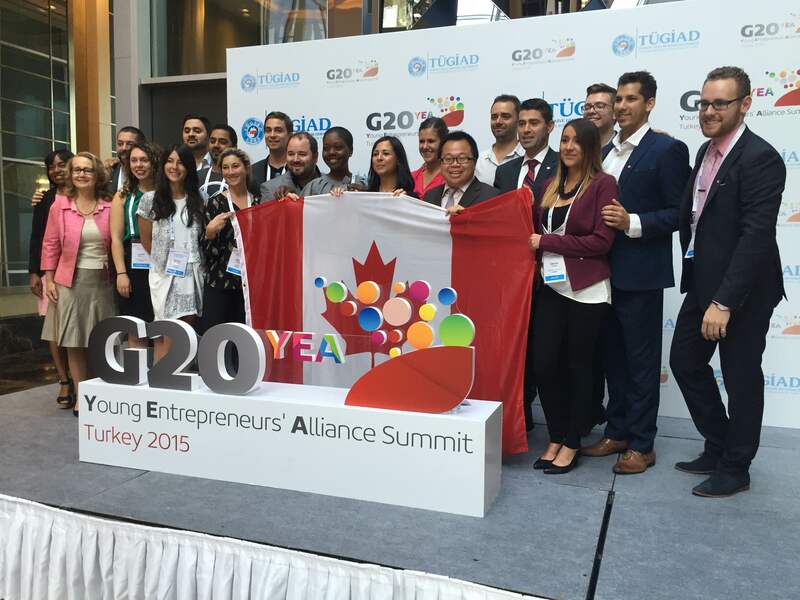 As one of 23 young entrepreneurs selected by Futurpreneur from accross Canada, I took part at the G20 Young Entrepreneurs Summit in Istanbul, Turkey this September. Connecting with young entrepreneurs from around the world to strategize and address global economic issues promises is for me a career highlight. The G20 Young Entrepreneurs' Alliance Summit in Istanbul, Turkey brought together over 600 inspiring young entrepreneurs, thought leaders and leading entrepreneur-focused organizations from around the globe. Together, we have identified issues, opportunities and strategies that will drive sustainable, global economic growth and promote youth entrepreneurship as a powerful driver of job creation, innovation and social change. Entrepreneurship is one of the key solutions to tackle high youth unemployment. Recommendations from the G20 YEA Summit will be shared at the G20 Leaders'Summit in Turkey in November. Encouraging an entrepreneurial mindset at various stages in the education system and providing skills training to entrepreneurs is key to cultural change. We call upon G20 governments to promote entrepreneurship in all levels of education and support companion programs that encourage "learning agility" and entrepreneurship culture and support SMEs and early-stage businesses (e.g. incubators, mentoring, funding, specific initiatives to encourage women entrepreneurs). A commitment to remove barriers to entrepreneurial success and to promote SME growth would send a powerful cultural signal. We call upon G20 governments to review bureaucratic barriers to enterprise formation and growth, promote harmonization of international standards to build SME capacity, and to explore a G20-wide entrepreneurs' visa program to encourage international mobility. As research has shown, government policies regarding taxation and funding send powerful messages about whether a country is culturally supportive of entrepreneurs. They are also cited as key reasons for the success -- or failure -- of entrepreneurs and high-growth SMEs. In order to encourage entrepreneurship and facilitate access to capital and new markets, we call upon the G20 governments to adopt progressive policy measures (e.g. separate tax categories for entrepreneurs and high-impact SMEs) related to tax and fiscal support for entrepreneurs, and encourage angel investment, venture capital, and private-equity investment to broaden and deepen SMEs' access to alternative financing. Digital infrastructure is at the heart of our innovation ecosystems, improving the performance of a broad range of companies, enabling them to bring new products to market and allowing them to work with multiple partners. Such collaboration boosts economic growth and the greater use of digital platforms will enable a stronger model of entrepreneurship and innovation. We call upon G20 governments to lead a process of collaboration that engages government, high-growth SMEs, businesses, and stakeholders in education and science in building the next generation of digital infrastructure. Entrepreneurial growth and innovation requires a reliable legal framework for early-stage businesses and a transparent and streamlined process that will allow them to grow quickly. We call upon G20 governments to enact measures that ensure a progressive legal environment for entrepreneurs (including intellectual property protection) and practical measures (e.g. online information regarding international and regional standards, regulations and practices, etc.) that streamline their path to growth. To ensure that policies are based on best practices and objective data, we call upon G20 governments to directly engage G20 YEA member organizations, the World SME Forum, our knowledge partners and other relevant stakeholders to identify how an environment that encourages and supports to entrepreneurship can be promoted and maintained. 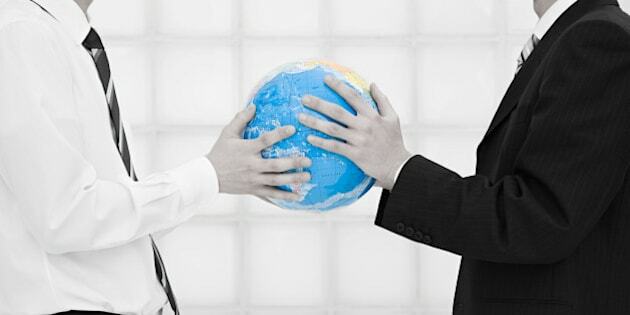 A culture of entrepreneurship and growth relies on collaboration between all stakeholders, including large national/multinational corporations and earlier-stage businesses. We call upon the G20 governments to encourage such collaboration through their work with the B20 and through country-specific initiatives. According the Accenture/G20 Young entrepreneurs 2015 survey, in digital collaboration, large companies expect to generate 28 percent of total revenues from digital technologies, products and services in the next three years, up from 16 per cent today. And collaboration is expected to be a critical way to increase digital revenues. Today, the proportion of revenues generated by collaboration with startups/entrepreneurs on innovation already represents a significant nine percent of large companies' total revenues. In three years this proportion of collaborative revenues is expected to rise to 12 percent; in five years, as collaboration accelerates, that number is expected to more than double, to 20 percent. In others words, digital collaboration boosts economic growth. According to this year's G20 YEA Summit EY report, supportive entrepreneurship culture is a critical catalyst for inclusive and sustainable economic growth. The EY G20 Entrepreneurship Barometer Survey asked 1,500 young entrepreneurs in G20 countries to identify the initiatives that would most improve students' perceptions of entrepreneurship as a career path. The results highlighted the significant interrelationship between culture and education. Entrepreneurs saw education as their number one priority in terms of key initiatives that could support the long-term growth of entrepreneurship in their economies. Over one third of respondents identified education, teaming, mentoring programs,and industry-specific training as the top initiatives. As the survey also highlighted, entrepreneurs in countries with weak entrepreneurial culture were more than 1.5 times more likely to suggest that it had become more difficult to start a business in recent years than those in countries with highly supportive entrepreneurial cultures. The EY report concludes that a new paradigm for education is needed and the cultural shift will likely manifest itself over a generation, if not more. This is the primary recommendation for the G20 Leaders' Summit in November. This means that a long-term commitment from G20 governments -- including Canada -- to support entrepreneurship through education is crucial. G20 governments need to support entrepreneurship education starting at the elementary-school level to create an "entrepreneurial mindset" and expand entrepreneurial culture. This can be achieved through experiential learning and entrepreneurship training in schools, as well as extracurricular programs. Education initiatives to foster skills learned in elementary and primary school are critical at the secondary and tertiary level to deepen students' "entrepreneurial mindset" and convert this thinking into commercial practice. Initiatives that encourage knowledge sharing and community development are also important to replicate learnings, scale programs and provide longitudinal data on programs. Based on this G20 YEA EY research, 600 young entrepreneurs part of this year's Summit call upon G20 leaders to make a long-term commitment to reform their education systems to support entrepreneurial culture and start implementing new policies. In the near term, new visas to enable mobility and international networking initiatives can build bridges across G20 countries and drive positive change in entrepreneurial culture through peer-to-peer and experiential learning. Over the medium term, entrepreneurship needs to be embedded in formal education systems, from primary through to tertiary, with industry a crucial partner in the process. This should be part of a broader economic development plan focused on "quality" entrepreneurship. In the long term, measuring entrepreneurial culture in education, and linking it through to its impact will help define effective policies and refine initiatives over time. In a time of global economic slowdown and when countries like Canada are going through a recession, I hope G20 leaders will take action so the next generation of entrepreneurs will contribute to sustainable growth in the 21st century world economy.